We are constantly looking for ways to help our Timber bookstore customers sell more inventory and reach more customers. Have you considered giving your site sales a lift with an integration with Ingram? We can set your site up, so that any searches will pull results from (not only your inventory) but Ingram's inventory as well (they have millions and millions of titles). We have been hard at work adding features to Timber. Check out the latest! 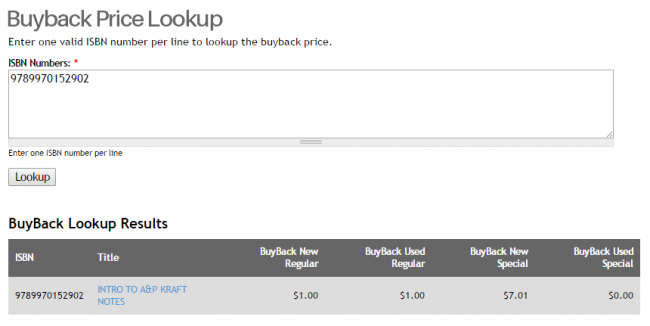 This new Timber feature allows your customers to paste in a list of ISBNs and access the buyback pricing directly from Booklog. Contact us to have it turned on for your site! 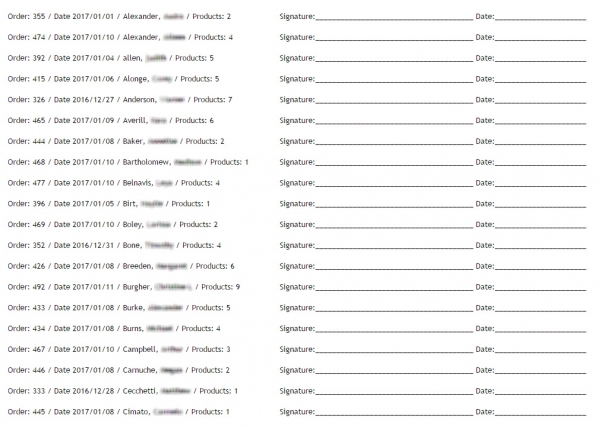 For stores that require a student signature when picking up materials, this new report will give you a printable list of (not already picked-up) orders where the order Delivery Method was "In-Store Pickup". Since the begininng of Timber, order information has always flowed just one direction: from the Website into Timber. This sometimes caused confusion, because orders can change in Booklog (substitutions, additions, or deletions), but the order data on the Website would not reflect those changes. With this new update, order changes (Inventory Items, Shipping, Status, and Tax) will all be reflected on Webstore Orders. This will help eliminate confusion from your customers, and streamline how your staff completes their Webstore Orders. We have increased the number of images assignable to each product. Previously you could upload one image per product -- Timber now supports an unlimited number of product images. Additionally, uploaded images will automatically be available via thumbnails, that have full-size pop-up images. Timber now offers a seamless integration with Verba! The integration requires that you have an existing account with Verba, please contact them for more information about getting started. A slight functional enhancement has been made to how we handle Item Sets (Master/Sub-SKU items). When only a single item remains in a set, the drop-down selector will now be hidden. This saves customers from needing to select the only available option in the drop-down list, prior to adding-to-cart.